Why the difference between the two? The difference is quite significant. This notion that the Earth shields the Moon's near side could be further negated by Earth's by far larger mass and with it gravitationally attracting more asteroids, changing orbits of some sufficiently enough to miss the Earth and later hit the Moon instead. In fact, the Moon shields the Earth from impact craters far more than the other way around, but not so much from impact from the other direction and the Moon being in the way for asteroids to hit the Earth, but because the Moon would intercept many asteroids in an elliptical approach that would be otherwise captured by the Earth's gravity and might eventually hit it by precession, closing in on approach to Earth with each orbit. The Earth partially shields the near side of the Moon from incoming asteroids, but that is not a large enough effect to influence crater densities. Just using simple straight-line geometry, you can calculate how much of the lunar sky is obscured by the Earth, about 4 square degrees out of 41,000 sq degrees for the whole sky. This makes the Earth negligible as a shield for the Moon. 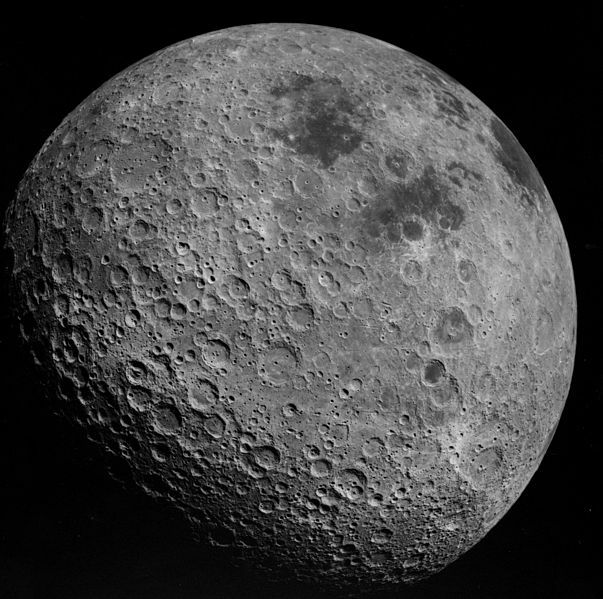 The real reason there are more impact craters on the far side of the Moon is that the near side has a much thinner crust which has allowed volcanoes to erupt and fill in ancient large basins (or large impact craters). These large lava flows have covered craters that were formed early in the Moon’s history through the late heavy bombardment, which is when the largest percentage of impacts were occurring in the inner solar system. 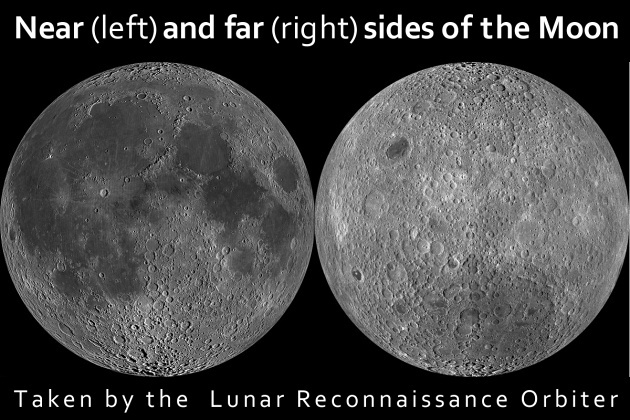 It is likely that each side of the Moon has received equal numbers of impacts, but the resurfacing by lava results in fewer craters visible on the near side than the far side, even though the both sides have received the same number of impacts. Further, the oldest areas in both near and far side are saturated, meaning that they have reached equilibrium (each new crater, on average, destroys one old one). 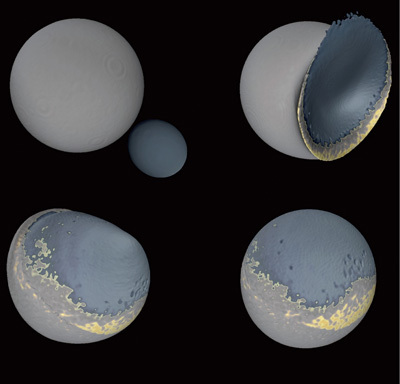 In this case, the density of craters is no longer an accurate measure of the number of hits the surface has received. The question that seems to persist though is, why are these maria more frequent and larger in size on the near side of the Moon? There are several theories, the one that seems most reasonable to me is the combination of tidal effects of the Earth-Moon system and the resulting tidal bulging and tidal friction keeping the Moon's face we see from the Earth geologically active for longer (in similar way to what's keeping Europa a geologically active body), on top of tidal locking of our natural satellite being established early enough in Lunar history that it would exchange some of the heat radiation with Earth while it was still closer to it, while the hidden side radiated its surface heat away faster. Or that it could be attributed to the Late Heavy Bombardment (interesting NASA's video on Evolution of the Moon). This could as well be merely by chance though, and I don't think we'll really know until we at least establish our Moon's origins (with some theories being that it's a product of an impact of a planetesimal with the Earth, some that it's a sister formation and formed parallel with the Earth, another one that it is a captured asteroid, or even that the Earth was spinning so fast that it literally ejected some of its mass and lost a lot of its angular momentum like that). An observation: The large, dark maria are large lava flows. Lava tends to be pretty dense, as compared to layers of particulate matter deposited from being blasted out of impact craters, since there were few gaps in it when it was laid down, other than possibly gas bubbles, while layers of randomly piled rocks thrown from impacts will have many gaps and holes. So if large surface lava flows occurred, they would be "heavy" as compared to the surface of the rest of the moon. 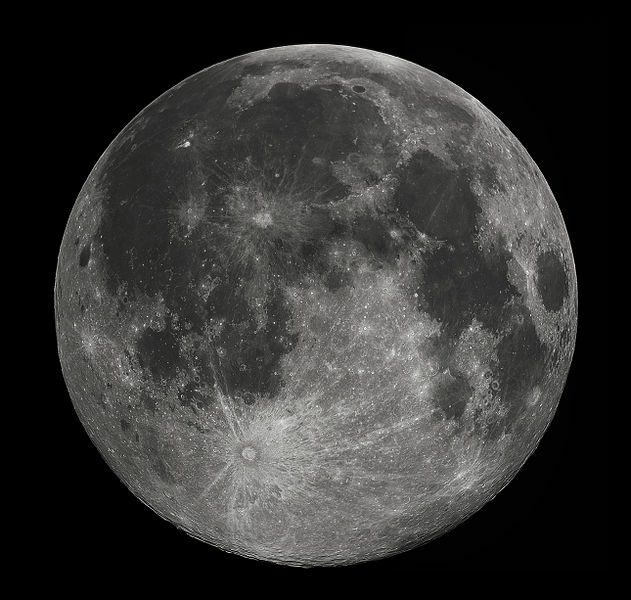 As such, the dynamics of tidal locking would tend to eventually result in these heavier areas facing the Earth, rather than away from it, since there is more mass there for the Earth's gravity to pull on as compared to other parts of the moon. Not the answer you're looking for? Browse other questions tagged the-moon planetary-science or ask your own question. What are the dark areas on the moon? Could Jupiter's tidal forces be used to generate energy? What plans are in place or being considered for management of the far side of the moon? Why does the Moon only show its near side while orbiting the Earth?